A company can use security cameras in more ways than just deterring criminals. Most business owners think that buying security cameras and having them installed gives them unparalleled protection from criminal activity. It is not enough to just install security cameras in place to prevent criminal activities. You need to work with a security company that can provide comprehensive security solutions in Montreal to ensure total safety. The technology behind security camera continues to evolve and new cameras consistently hit the market that come with amazing features. As a business owner, it is important to know which type of security cameras you are buying and what you can use them for. Check if they have special features that can perform more than just providing general security. Can they be hidden? Where can you put them? Stop and know the facts before making a purchase. As a business owner, your security concern should not only be focused within your business premises, but should also extend to the exterior. Your business is as secure as the neighbourhood it is located and that is why you should play your part to ensure the neighbourhood remains safe as well. There are new security cameras that allow business owners to connect with nearby businesses and share security footages on an app. 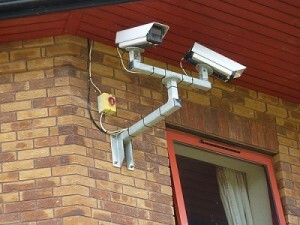 These cameras combine all participating outdoor camera footage to one shared hub to ensure safety in the neighbourhood. Making insurance claims caused by natural disasters can be a headache. Installing a wireless security camera to document damages caused by natural disasters can help fasten the process of investigation so that a company gets compensated fast. Insurance companies can use the footages as evidence to process the claims faster. In case you are warned that there is a possibility of a natural disaster occurring, it helps to prepare before it happens so that your employees and investments are protected and also be prepared with a strategic emergency plan. With the right integration software, you can use smart security cameras to communicate with smart devices within your business premise even while you are away. These smart security cameras notice when no one is available in the office and they can automatically turn off lights or adjust temperatures once you leave your office. To use your surveillance network effectively, you need to keep reviewing the recordings on a regular basis. You can have your security camera tweaked in a way that it notifies you when it detects something unusual. This saves you the time to check your network from time to time since it sends you an alert if something is amiss. Some smart security cameras can be tweaked to allow people to tune in and peek at live social events. If you hold social events frequently and not all your guests can show up, you can use smart security cameras to stream your events live to them so that they can be part of the thrill and nobody misses out. This is also a great way to promote your business through the social media. You can also use your surveillance for supervision. One common use would be for new employees. Instead of having to be present at all times to supervise new employees, you could instead invest is security cameras that allow remote viewing. These security cameras also come in handy when you need to supervise off-limit areas. Having a security camera with night surveillance combined with motion detection notifications makes supervision more efficient.